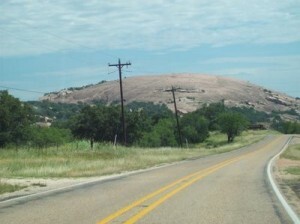 Join Friends of Enchanted Rock for an overview of Llano Uplift archeology with archeologist Dan Potter, at 6 pm. Dan was part of the team that surveyed ERSNA for archeological sites some 30 years ago when TPWD first acquired the property. Please check in at park headquarters before meeting at the group pavilion. You are welcome to use the pavilion for a picnic supper afterwards. For more information please email m.mial@wildblue.net.